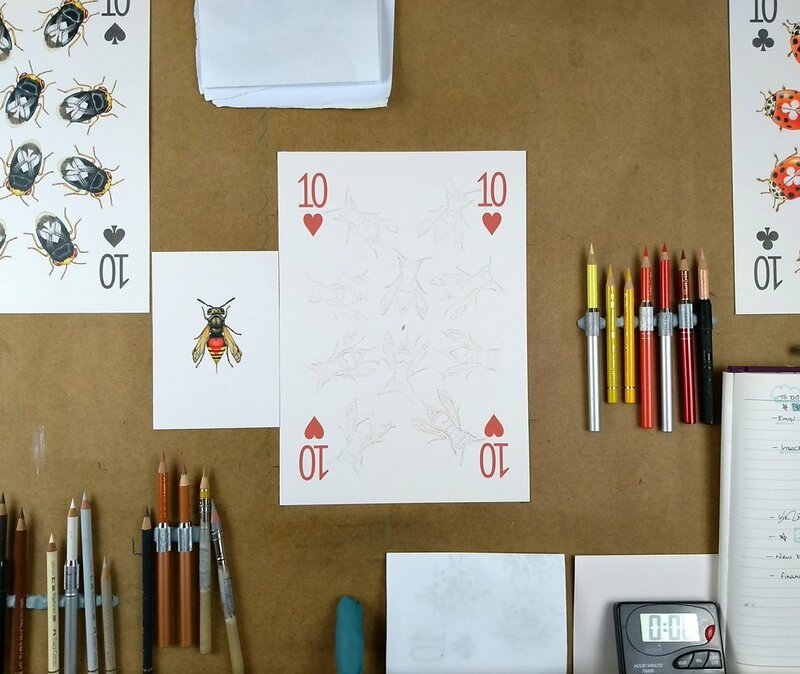 I’ve been making timelapses as I’ve gone along with Insecta Deck, and as well as sharing them with my Patreon patrons, I want to post a little here… So that all the lovely people who’ve helped me research the real-life relatives of my imaginary critters can enjoy the cards they’ve helped make. 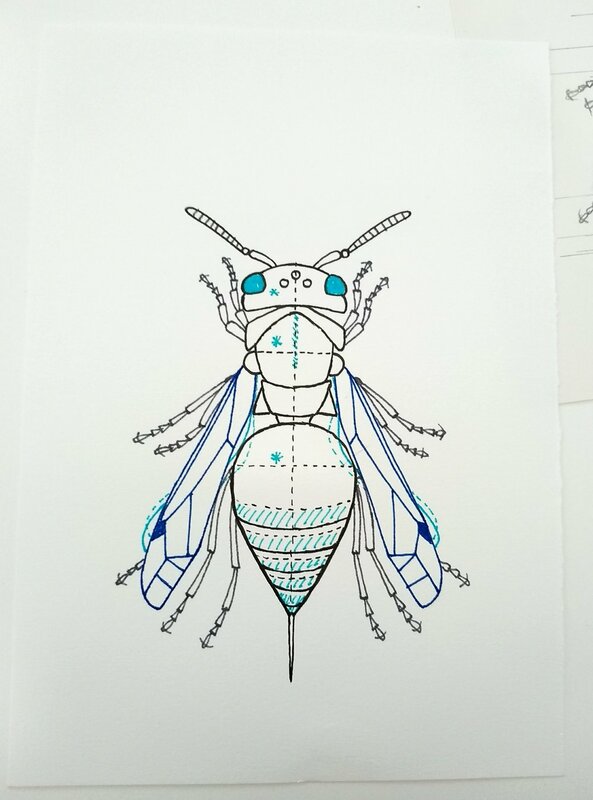 Because some insects can be really hard to track down reference for! 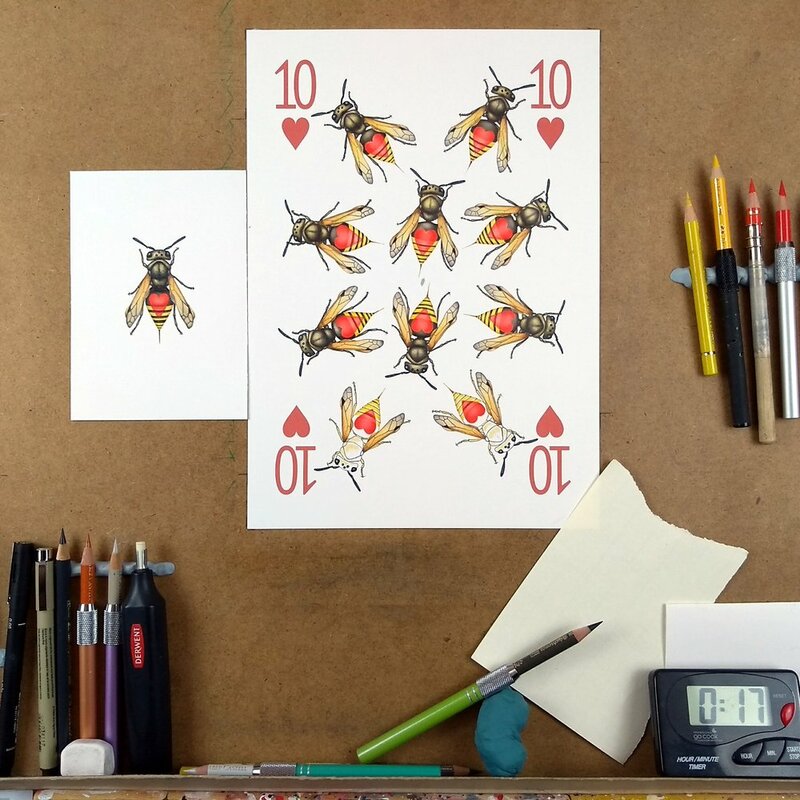 So here’s 10H, featuring an imaginary relative of Mexican honey wasps (Brachygastra mellifica). 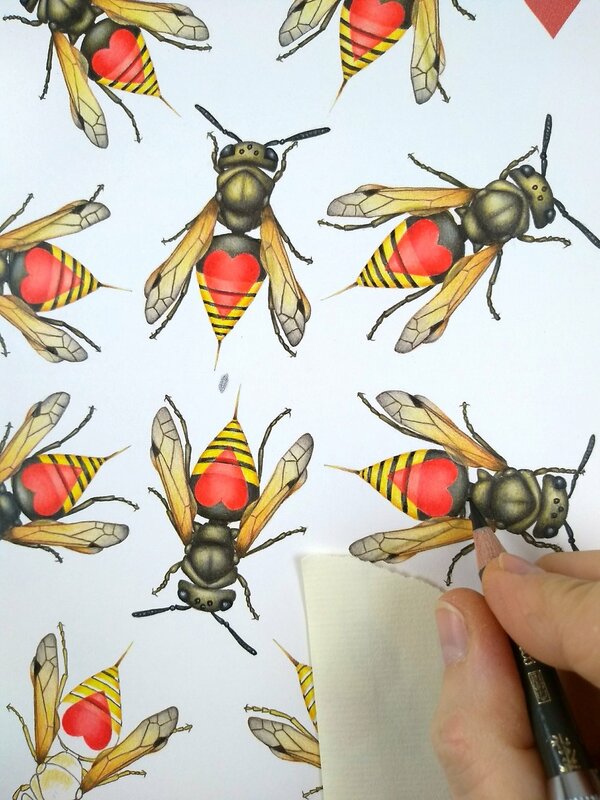 Many thanks to Alex Wild for the photo reference to measure wasp butts from! This was made a couple of months ago & I’ve been meaning to upload this for a while but… busy days (weeks, months) are busy. 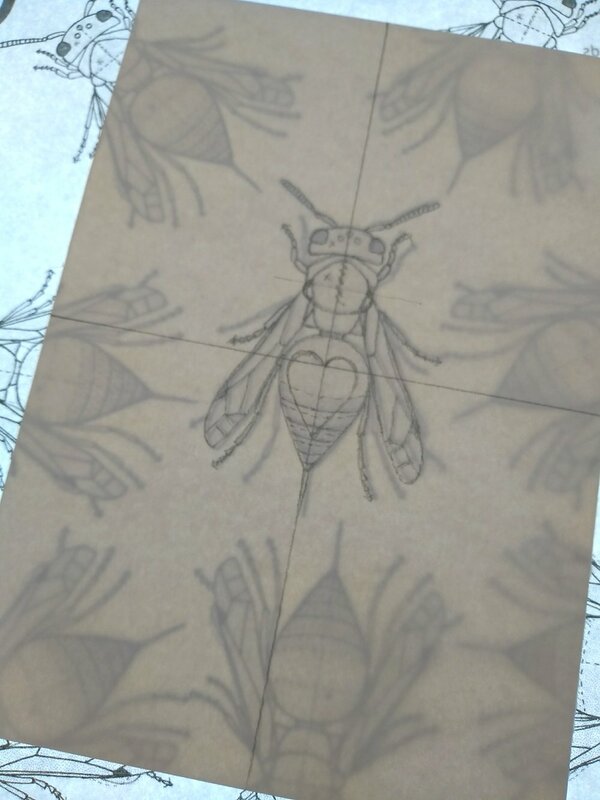 Part of the reason it can be hard to track the right reference down is that, obviously, most insects do not hang out quietly waiting in the perfect spot for someone to get an uncluttered dorsal view photo (which is ideally what I would look at for reference.) 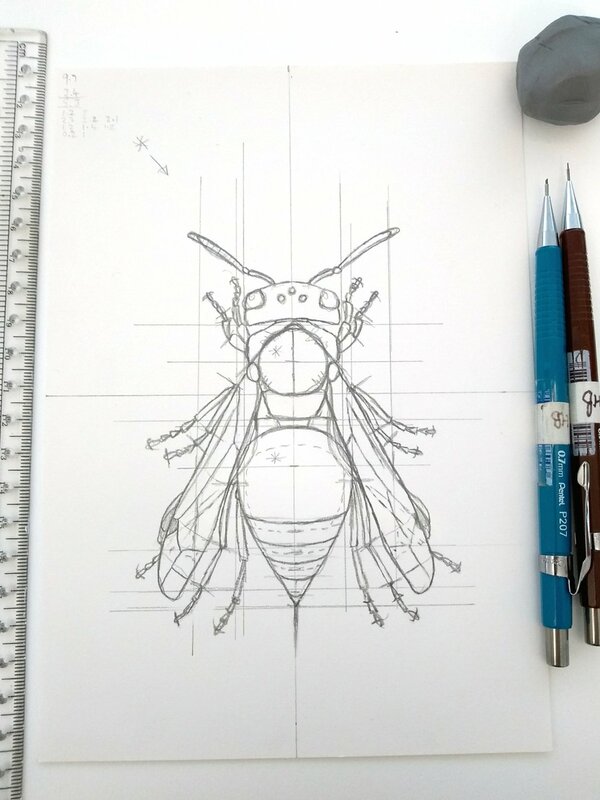 I try to work out the proportions of the real insect (width vs length for it’s various parts) before I measure out and draw its imaginary relatives. Thus my perfect pic is top down on a plain background... But hey, insects have busy lives! I can relate! I’m not expecting them to sit still for my convenience. That means I usually draw from a combination of (dead) specimens in museums/scientific collections, and photos of live critters. The live insect pics tell me what their real colours are, what kind of pose they stand in, how they hold their antennae (which I keep calling antlers by mistake), etc. 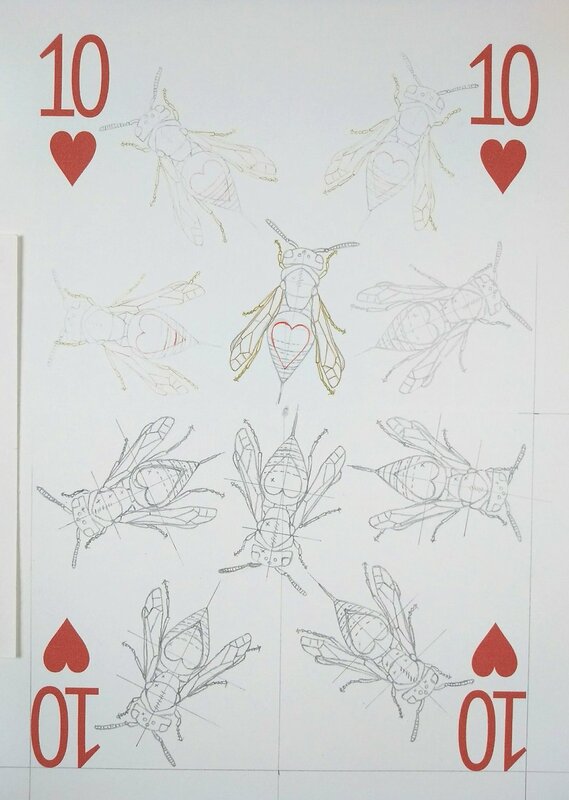 This helps me construct an imaginary deck-dwelling insect that’s posed as if it was alive, with reasonably accurate proportions, and a top down view of the playing card pip it carries.